Have you ever been to a storage warehouse? If so, then most probably you’ve already seen lots of warehouse equipment, busy workers unloading, loading, packing, and checking goods, as well as loads of storage containers. Actually, the majority of customs, transport business, wholesalers, exporters, and importers need a warehouse. Why? Simply because it plays a significant part in the stock chain and it is important for the continuous supply and production of goods. A loading bay, on the other hand, is one of the most essential parts of a warehouse. A loading bay, also known as a loading dock, is an area of a warehouse or building where goods vehicles and trucks are loaded and unloaded. Usually, loading bays are found in industrial buildings such as manufacturing plants and warehouses. Either way, they are the main situation of the movement of goods, coming in and out of the facility. The main purpose of loading bays is to maintain order and safety, and most importantly, offer convenience in moving goods inside and outside of the warehouse. As a matter of fact, loading bays are the most fast-paced part of a warehouse. That is why every warehouse owner must make sure that the location of their loading bay is not only efficient, but safe as well. With vehicle traffic and workers continuously moving in the area, a poorly planned and designed loading bay can cause confusion, which is when accidents, such as collisions between employees on duty, trailers or forklifts, can occur. This can lead to severe destruction of equipment, goods, workers, and even the warehouse. But nevertheless, in order to minimise the dangers and risks that are associated with collision and confusion, as the warehouse owner make sure you have an accurate design and plan for your building’s loading bay. Plus, selecting the right equipment and installing traffic signals as well as warning lights are highly recommended. Even so, loading bays are specifically designed for loading and unloading vehicles and deliveries. And always keep in your mind, they are not parking facilities, in other words, no unattended means of transportation are allowed in the loading bay. This type of loading bay sports a design that involves angled spaces that are aligned next to one another, thus it is easier for vehicles to back up to them. On the other hand, the design needs further building space, however, it allows vehicles to leave the bay with fewer moves, rather than wedging from side to side until they leave the building. Even though required in particular situations, this type of loading bay is not commended. They are complex, as open dock can’t be cooled or heated, and don’t offer protection for people or cargo since they are exposed to heavy downpours and hot sun. If possible, open docks should have a covering to reduce weather exposure. It is the most popular type of loading bay used today. The foundation of this bay is even with the exterior wall of the warehouse or building. But in order to avoid wall damage, normally the dock/foundation bumper extends four inches beyond the building’s exterior wall. When it comes to the cantilever loading bay design, the dock face or foundation wall extends out preceding the buildings outside wall. However, this type of loading bay can inhibit damage to dock equipment, trailers, trucks, and building walls, especially if there is a dock bumper failure. Enclosed loading bays are designed to make sure that trucks can park inside the warehouse or building, or covered areas during loading or unloading. Even so, this type of loading bay isn’t commonly used. Because the design lacks manifestation due to limited space and high construction fees. In addition, with enclosed loading bays a ventilation is needed, as well as consideration to vehicle exhaust fumes. Loading bay lights like Stop and Go Lights, and LED or Xenon Strobe flashing beacons are excellent tools for warehouse and building owners who want improve to the efficiency and safety of their loading bays. These lights can give incoming drivers as well as workers clear instructions when approaching or navigating the loading dock. These lights are normally used for outdoor or indoor signaling, warning applications, and safety systems inside the facility. 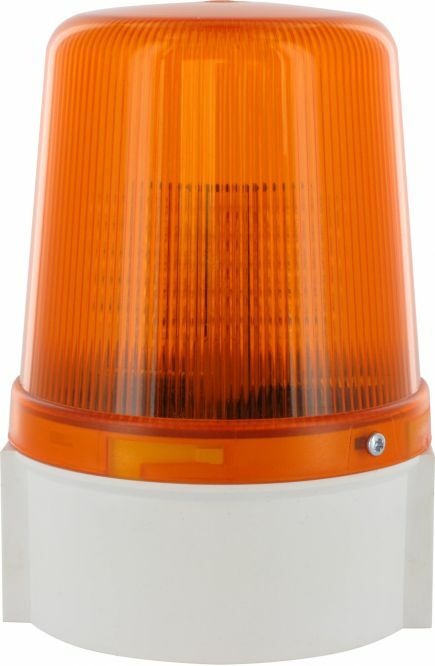 The main purpose of LED or Xenon Strobe beacons is to provide warning and signal to truck drivers to prevent accidents like collisions, or traffic build up from happening. 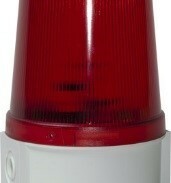 Usually, this type of loading bay light is composed of green and red lights. They are commonly used in managing traffic flow in loading bay stations. Plus, they prevent unscheduled trailer entries and truck departures by signalling green and red light signals to the forklift driver and truck driver. If the light is green, it means the arriving driver is cleared back to the bay. If the light is red, the drivers should wait for the light to become green, in other words they need to stop. 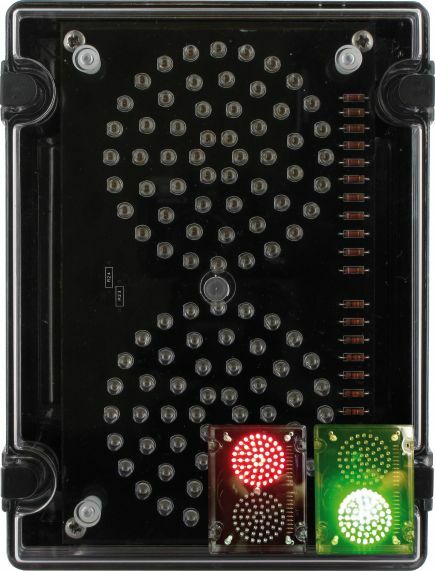 Either way, these lights alert both loading bay personnel and truck drivers to the status of docking or docked trucks as well as help them know when they can get away safely from the loading dock. There is no doubt, accidents are troublesome because they can damage equipment, facilities, goods, and harm people. That’s why ensuring that your facilities and equipment are in good in condition and have relevant warning signs, is very important.